Faraday FutureFaraday Future’s planned FF91 SUV. Nick Sampson, one of the automaker’s founders, resigned and reportedly said Faraday Future is “effectively insolvent” in an email to employees. The electric vehicle startup Faraday Future is close to running out of money as it forces some workers to take unpaid leave,The Verge reports. According to the publication, the automaker has halted some operations at its headquarters in Gardena, California, and factory in Hanford, California. Faraday Future CEO Jia Yueting reportedly said in an email to employees that workers who started on or after May 1 of this year will be placed on unpaid leave until the automaker receives new funding. Full-time employees who started before May 1 can continue working on a reduced salary of $US50,000 per year and hourly employees who have been working for over six months can choose to remain at Faraday Future for minimum wage, Yueting reportedly said. A Faraday Future representative confirmed to Business Insider that employees who joined after May 1 must take an unpaid leave of absence, while those who started before May 1 can continue working “at a reduced level of compensation,” though the representative did not specify by how much compensation will be reduced. The representative added that the amount of time these changes are in place will depend on a “funding plan that is being vigorously pursued,” and said the automaker anticipates the furlough will last through the end of this year. “This was an extremely tough decision to make, and we recognise the emotional stress and financial strain this puts on people’s personal lives. 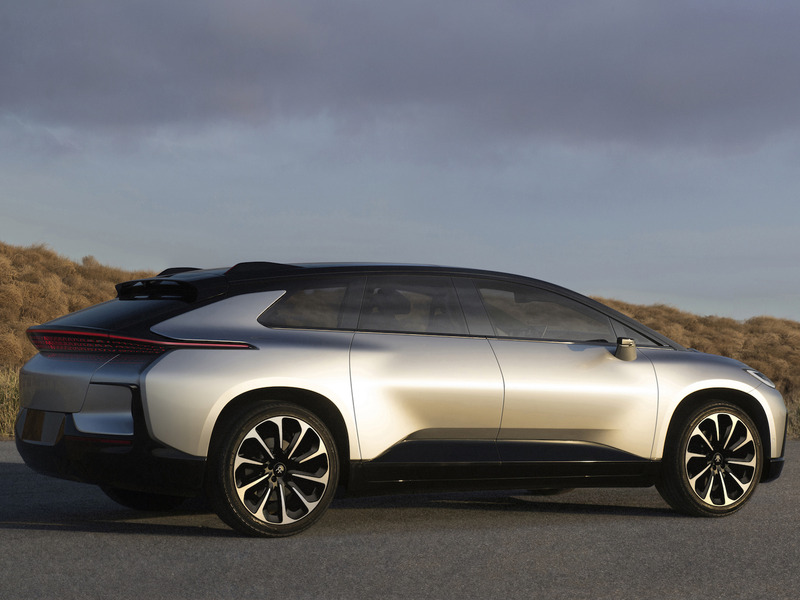 We are grateful to all of the hundreds of employees who are willing to stay and continue to work on the FF 91 core project, as well as those who will be on a temporary furlough,” the representative said. The representative attributed Faraday Future’s financial troubles to its dispute with investor Evergrande Health Industry Group, which the automaker says has prevented it from seeking outside funding. The representative added that an arbitrator ruled last week that Faraday Future can now pursue funding from other sources. Nick Sampson, one of the automaker’s founders, reportedly resigned on Tuesday, saying Faraday Future is “effectively insolvent” in an email to employees. “The company is effectively insolvent in both its financial and personnel assets, it will at best will [sic] limp along for the foreseeable future. I feel that my role in Faraday Future is no long [sic] a path that I can follow, so I will leave the company, effective immediately,” Sampson reportedly wrote. The Faraday Future representative confirmed Sampson’s departure. A Faraday Future representative told Business Insider last week, following a report from The Verge, that it would reduce the wages of hourly and salaried employees by 20% while laying off an undisclosed number of workers. The representative added that Yueting would lower his salary to $US1 as some members of the automaker’s leadership team decreased their salaries by more than 20%. Yueting, who is also the founder and chairman of the Chinese tech company LeEco, last year had $US182 million in assets frozen by the Chinese government because of unfulfilled loan payments. We can confirm the recent departures of Peter Savagian, SVP, Global Product and Technology and Nick Sampson, SVP, Product Strategy – we wish them the best of luck in their future endeavours. As you may know, recent actions taken by Evergrande is causing FF to experience extraordinary financial hardship. The investor has intervened in the Company’s capital planning and is preventing FF from utilising our assets, which requires FF to take some very difficult yet necessary actions. FF received a favourable ruling in its arbitration against Evergrande last week and may now seek funding from other sources, which FF is actively pursuing, although this process will take some time. This was an extremely tough decision to make, and we recognise the emotional stress and financial strain this puts on people’s personal lives. We are grateful to all of the hundreds of employees who are willing to stay and continue to work on the FF 91 core project, as well as those who will be on a temporary furlough. In addition, we take our relationship with our suppliers seriously, and we hope to receive support and understanding from our global partners as FF overcomes our difficulties.